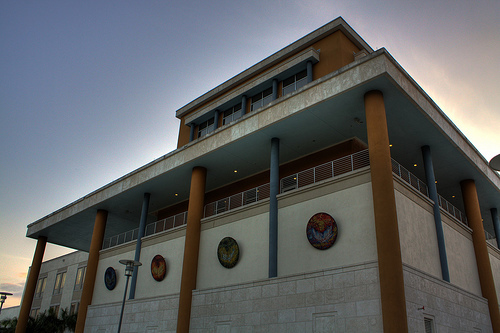 Eight law clinics are currently operating within the College of Law at FIU. There, law students are not only gaining hands-on experience in many areas of practice but also improving the lives of their fellow community members. In this second part of a two-part story, we tell you about some of the cases handled by the Carlos A. Costa Immigration and Human Rights Clinic, the Investor Advocacy Clinic, the Health, Ethics, Law and Policy (H.E.L.P.) Clinic and the Community Development Clinic. Since 2004, the College of Law at FIU has had a flagship clinical program that provides students with hands-on experience outside the classroom. “We are very much a law firm focusing on educating the next generation of lawyers through close supervision of law students as they practice for the first time and provide policy advocacy and community education throughout Miami-Dade,” said clinical director Peggy Maisel of the program, which primarily serves underprivileged individuals and nonprofits that must meet a certain threshold to receive services. In part 1 of this two-part story, we told you about the work that has been done at Consumer Bankruptcy, Environmental Law, the Family and Children’s Advocacy and the Immigrant Children’s Justice clinics. Now, we share the good word on the work of the Carlos A. Costa Immigration and Human Rights Clinic, the Investor Advocacy Clinic, the Health, Ethics, Law and Policy (H.E.L.P.) Clinic and the Community Development Clinic. Advocating on behalf of community members is the fundamental mission of the Carlos A. Costa Immigration and Human Rights Clinic. It won more than $22 million in damages in 2010 for five Liberian victims that brought torture and persecution charges against Charles McArthur Emmanuel, a.k.a. Chuckie Taylor, the head of the infamous Liberian Anti-Terrorism Unit. That spring, students in the Costa Clinic also reached out to the community following the 2010 Haiti earthquake to assist Haitians in South Florida applying for temporary protected status and other immigration relief. Most recently, the clinic has focused its efforts on representing mentally ill individuals being detained by the Department of Homeland Security because of their immigration status. “Most of our clients are unable to help themselves, and they cannot afford to hire an attorney in immigration court,” said Juan Gomez, an FIU Law clinical assistant professor and the clinic’s director. Some case examples include: obtaining cancellation of removal for an undocumented young man who had been tortured by his U.S. citizen stepfather; reuniting a Laotian family with a son thought to be dead for several years; and winning protection in the United States for a transgender Guatemalan. The clinic has also helped hundreds of residents apply for U.S. citizenship, and students are involved in helping create systems that will help young people eligible for relief under President Obama’s new DREAM ACT/Deferred Action policy apply for benefits. this is great! i wonder if they can assist with garnishment and bank fees because of it. it happened to me. it was a mistake of identity. is there any way students in highschool under the age of 21. volunteer at these law clinics . not joining the program just volunteering and gaining insight to learn… and at one point get some recognition for volunteering? please email me im very interested in your answer .